One year after the Brexit referendum, the Juncker Commission has refrained from talking about ‘what kind of Europe’ citizens need and focused on narrow, uninspiring questions about levels of integration, writes Magda Stoczkiewicz. Magda Stoczkiewicz is director at Friends of the Earth Europe, an environmental NGO. The EU is limping to the end of an annus horribilis that followed the UK’s vote to become the first country to leave the Union. A troika of populist storms hit the EU – the Brexit referendum one year ago today; extreme right, racist parties making serious bids for the reins of government in the Netherlands, Austria and France, and anti-democratic developments in Hungary and Poland; and Trump taking up residence in the White House with consequences for Europe and the whole world. The positive outcome of the EU being plunged into this crisis of identity is an overdue debate about the future and the values of Europe. One would hope that this debate would be an ideal opportunity to address the lack of connection between the EU and its citizens and to start to restore public confidence. Yet, the Juncker Commission has refrained from talking about ‘what kind of Europe’ we need and focused on narrow, uninspiring questions about levels of integration: whether the EU should carry on, or do more, or do less. 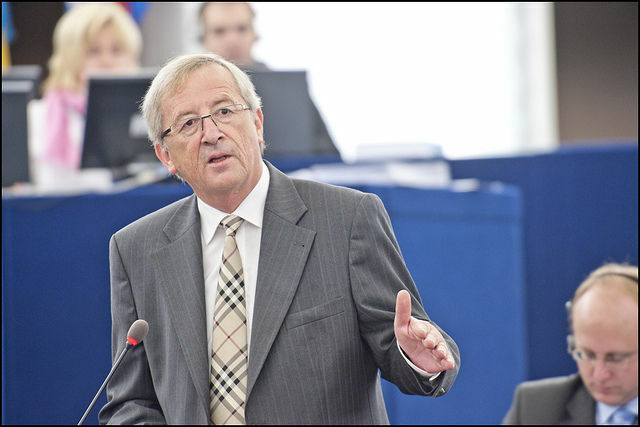 All of President Juncker’s five scenarios for the future of Europe neglect the crucial elements of ‘what kind of Europe we want’ and ‘who it is for’. The European Commission has said it could accept reduced responsibility for some policy areas, but only in return for greatly strengthened powers over defence, border control, migration, counter-terrorism and trade. The recognition of planetary boundaries within which humanity needs to operate is starkly missing. As are people’s social security concerns and the widespread rejection of austerity policies. Instead the ‘fortress Europe’ defence theme dominates. 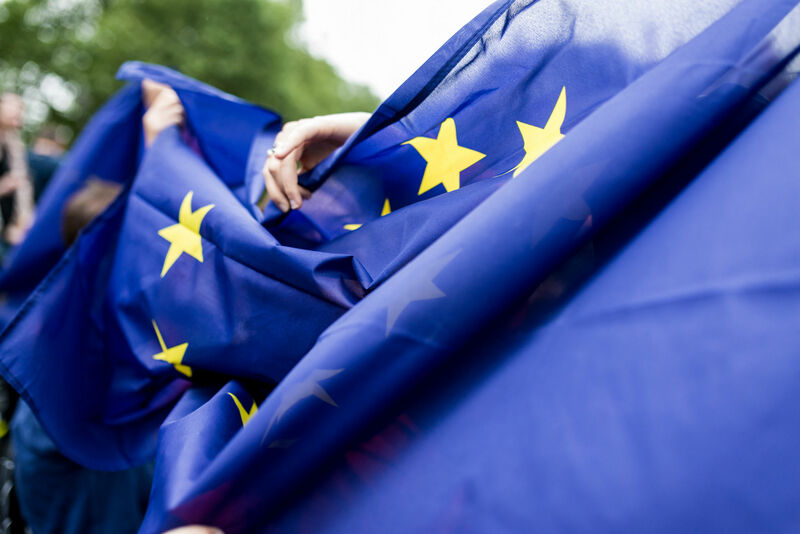 The choices being given to member states do not touch the core issues of the values on which Europe be based, or the environmental, social and economic assumptions which underpin it. Whether on EU trade policies, Juncker’s deregulation agenda, climate action or the debate on the future of the EU, the Commission’s answer seems to be: comme d’habitude. Take trade. We have seen unprecedented public rejection of recent EU trade policies that privilege investors. Yet the Commission has apparently learned little from this and reverted straight back to trade deals that prioritise liberalisation, trade volumes and lower costs, mainly for the benefit of big multinational companies. It has also put forward a modified version of investment dispute arbitration, via a Multilateral Investment Court, that will continue to allow investors to sue authorities who act in the public interest in a way that limits profits. In response to these business as usual proposals that fail to tackle the underlying discontent that fed the last year’s storm, 250 civil society organisations and trade unions across Europe, representing millions of citizens, have suggested a sixth scenario to help the EU find its purpose again. These organisations believe that a bolder vision is desperately needed. Our alternative scenario, released this week, puts environmental justice, democracy, human rights and a strong social fabric in the centre. It says the implementation of the 2030 Agenda for Sustainable Development should be absolutely key for a future that meets the needs of Europe’s people and the planet. At the last Council meeting, national governments already called for a post EU2020 agenda that has sustainable development at the core of all EU policies. 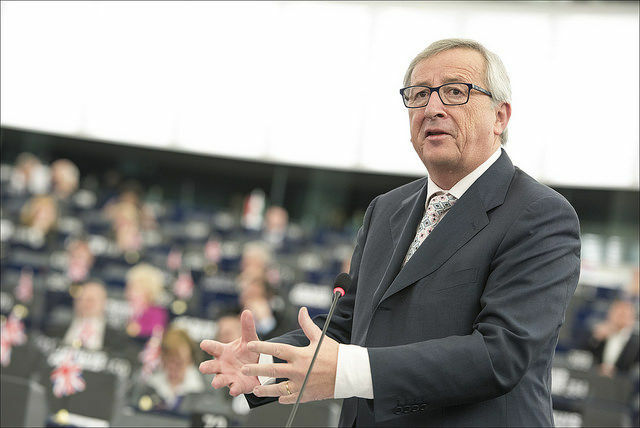 As the Future of Europe debate gathers pace, will Juncker’s Commission follow suit? Or will it stick to the growth paradigm of the current economic system and continue to exclusively prioritise business interests? If it does the latter, it risks feeding cynicism about the EU and driving even more people into the arms of right wing authoritarian parties, which might ultimately result in the collapse of the EU. I am about to step down after close to ten years at the helm of the EU’s largest grassroots environmental campaign organisation, Friends of the Earth Europe. I am convinced that the EU can be a positive force on our continent and in the world and help bring environmental sustainability. But I am also sure that we need to answer the key questions of ‘what Europe?’ and ‘for whom?’ in order to develop a compelling vision of a Europe that stands for peace, cooperation, long term sustainability, and wellbeing for all. Of all five scenarios proposed by Commission President Jean-Claude Juncker for the way forward after Brexit, the real scenario is Number 3: “Those who want more do more,” which is another way of saying that the EU will be multi-speed, EURACTIV.com was told.